Children are at risk for serious health problems just like adults are. When it comes to neck and throat health, those problems can catapult into something more serious if it isn’t kept in check early on. Since the treatment for children differs than those for adults, care has to be taken when deciding on an appropriate procedure or medication. Neck and throat health are incredibly important to our body’s overall health. That’s why our professionals at Santa Cruz Ear, Nose and Throat Medical Group are available to assist your child with any painful or persistent neck and throat issues they may be experiencing. Early detection of telling symptoms is a good thing that will keep the condition from becoming problematic, but can sometimes be hard to spot. Make note of the symptoms below to get a better understanding of what children are dealing with when it comes to neck and throat health. Major and minor symptoms related to neck and throat health can start with difficulties swallowing or breathing. This can happen when the lymph nodes and tonsils become enlarged or when the throat develops white patches. They all equal serious signs when it comes to health issues, and can trigger fever, body aches, fatigue and in rare cases skin rashes. Symptoms also extend to sleeping and can include morning headaches, waking up with a dry throat and daytime drowsiness. The last one is a major symptom that is due to not getting a relaxing sleep. It isn’t uncommon for children that have symptoms to wake up several times in one night, keeping them from getting a good night’s sleep. Strep throat can be hard to pinpoint without a doctor since it has a lot of common symptoms of other infections. The throat and area around it become infected, and is considered contagious. Those affected the most are children ages five to 15. Tonsillitis occurs in children and can be a hassle if it keeps coming back, leading to a tonsillectomy. Tonsillitis is when the tonsils become infected while they are overwhelmed by bacteria and viruses. The tonsil act as a gatekeeper to trap and ward away anything that causes an infection. So when the tonsils reach their limit, not only are they in danger, but your entire body becomes open to worsening conditions. 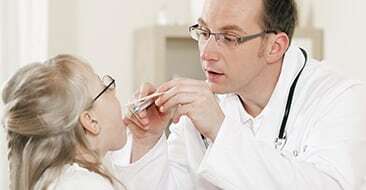 Bacteria and viruses that can cause tonsillitis are influenza, enteroviruses and adenoviruses. The list goes on and on, but usually the tonsils with regular care will heal on their own and go back to being the protectors. When this becomes a recurring issue, then surgery becomes a recommended option. A tonsillectomy removes the tonsils from the back of the throat. There are two in total, and they are both removed for the operation to prevent further infections from taking place. When other treatments fail to keep tonsils from getting infected, removing them becomes the best option. Sleep apnea patients may also receive a similar surgery if the doctor feels it is necessary for regulated breathing at night. The surgery is helpful in many ways and can even be the best solution for getting rid of rare diseases located in the tonsils. Sleep apnea is a major disorder that can turn into a serious condition if not treated properly. It gradually saps away health the longer it goes unnoticed and can even lead to depression. Since sleep apnea obstructs the airways and causes children to stop breathing as they’re sleeping, restless nights are expected until it is treated properly. Growing bodies need proper sleep, and without proper rest several social, mental and physical changes can’t and won’t work properly. With the ongoing medical conditions related to GERD, LPR is one of the conditions that can really affect a child’s health. LPR is when stomach acid comes back up to the throat, leading to sore throat, difficulty swallowing and mild nausea. The amount and types of food that you eat will contribute greatly to how much acid comes back up and how severe the symptoms are. Fortunately LPR is one of the minor GERD headaches and can be treated fairly easily with lifestyle changes. However, this doesn’t mean that it should be largely ignored as it is still a condition with cause for concern. GERD is a digestive disease that is labeled as chronic and is a lot more serious than LPR. An irritated esophagus is not a good thing, and can lead to acid reflux and heartburn. Heartburn by itself can feel like a heart attack and lead to a lot of unneeded emergency room visits. The condition can occur daily in your child’s life and make sleeping, eating and exercising a chore. The bloating in the stomach alone is enough to drive people crazy, so GERD is definitely classified as a very uncomfortable disease to deal with. Lifestyle and diet changes can get rid of a lot of the problems associated with GERD, but in some situations a doctor assisted approach may be necessary. In children the problem can become worse since describing it may be foreign to them. Children that suffer from full blown GERD should be immediately seen by a doctor to keep the effects from growing. A lot of the mentioned conditions can be treated through diet, exercise and taking better care of your body. But it isn’t that simple for some, which is why it is important to get a doctors opinion. For reference, here are some of the treatments that you may encounter for specific conditions. Strep throat treatment can be managed at home in some cases, with parents needing to make sure that their children stay hydrated. Fever can have a direct association with fluid loss, so the more fluids that are in your child’s system the quicker their recovery will go. Fluid intake goes beyond water and should include warm soup broth which replaces vital minerals lost while sick. For taking care of sugar loss popsicles are perfect and will also provide a soothing effect. Regular throat lozenges are not recommended, so if getting them is a must, look for lozenges made for children. If the symptoms only worsen, seeing a doctor for treatment and prescription medicines is highly recommended. Sleep apnea in children can be managed by spotting nasal allergies which act as a trigger. Obesity could be a cause in which case a diet plan will lessen the effects as the child loses weight, yet great care has to be taken to make sure the weight loss isn’t rapid. A CPAP can be specially fitted for a child to wear as they sleep which will keep the airways open so they can get proper rest. For particularly fussy children, other options are available such as oral appliances. They can keep the throat open while the child is sleeping so that there is no stoppage in their breathing. If CPAP’s seem too troublesome, considering giving this a try. Surgery is an option, but a last option only after all other treatments have failed. LPR and GERD follow similar treatments and involve more of a change in diet, depending on the severity. Caffeine, spicy foods, high fat foods should be avoided. Eating smaller meals frequently through the day helps, since chewing activates your body’s digestion mechanisms. The bland diet method is not for moderate cases of LPR and GERD, so consult a doctor for appropriate methods of care. When caught early, the bland diet works as both a prevention and treatment. When a more serious approach is necessary, prescription medicine to control your acid reproduction will do wonders. Surgery with GERD is also a last ditch effort if medications and other treatments have failed, and when dealing with children it can lead to complications if rushed into quickly. Sticking to the doctors’ orders and making sure your children abide by the diet they are given should keep surgery far out of the picture. If your child is suffering from consistent neck problems or discomfort, call our office today to schedule a visit with one of our experienced professionals.